Southeast Michigan and our Ann Arbor area communities have been built on a strong agriculture history. As a result, we’re blessed with year-round farmers markets, local agriculture experiences, and plenty of places to pick a pumpkin and sip fresh apple cider every fall. To prove it, we rounded up 19 local spots where you can pick your own pumpkin, pick your own apples, watch your cider being pressed, eat a pumpkin donut, an apple donut and a cinnamon sugar donut, then enjoy festive, farm activities. This fall, make a trip to one (or more!) of these family farms and you’ll want to come back every year. Alber Orchard & Cider Mill is located just 30 minutes west of Ann Arbor in Manchester. Over the years, their tractor-drawn hayrides, 7-acre corn maze, you-pick pumpkin patch, kids play area, free straw maze and animal area have become family favorites. While visiting, you can also enjoy tours of the vintage cider press, fresh pressed and specially blended apple cider, and delicious, crisp heirloom and family favorite apples. There is no admission charge to enter Alber Orchard, but there are fees for some activities. Blast Corn Maze is a famous seasonal destination in the Ann Arbor area. 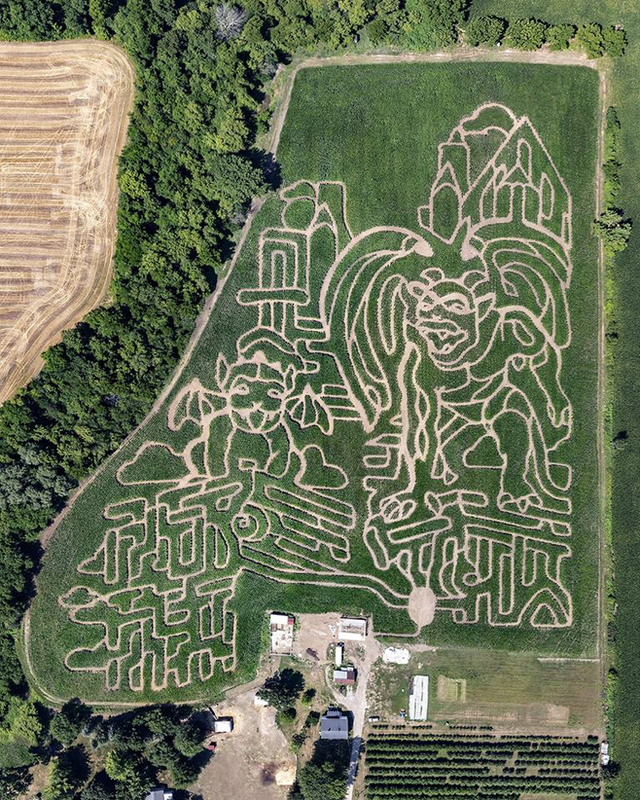 The huge, 10-acre corn field contains 3.5 miles of corn maze trails with three exits available for a short, medium or long journey. After you successfully traverse the maze, the whole family can pick a pumpkin from the you-pick pumpkin patch, take photos with farm props, test out the corn cannon, drive pedal cars and more. 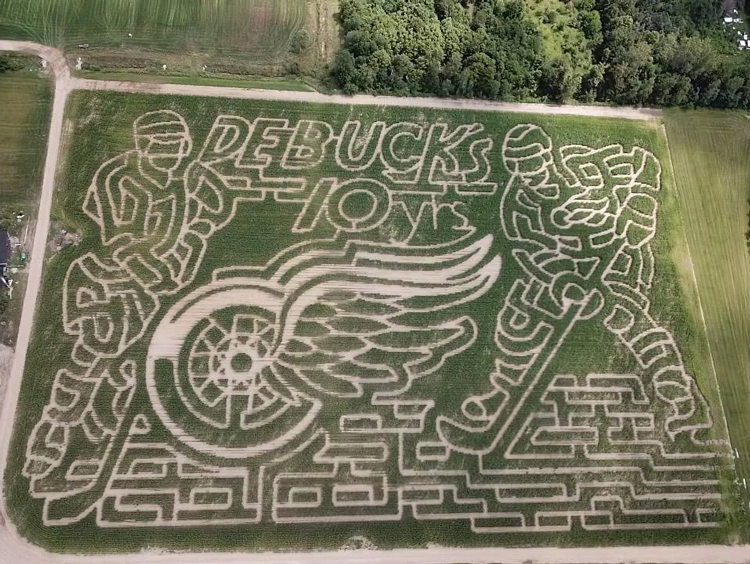 A trip to this family-owned and operated farm includes three professionally designed corn mazes with five miles of challenging trails, hayrides, some of the best seasonal donuts in the region, a pick-your-own pumpkin patch, you pick apples, a petting barn and more. Though these mazes aren’t haunted, you do have the opportunity to find your way through after dark—just bring a flashlight! Open to the public every fall, DeBuck’s Corn Maze and Pumpkin Patch offers more than 15 acres of winding corn maze trails, a 20-acre pick-your-own pumpkin patch, family-oriented fall attractions and hands-on field trips. During your visit, be sure to order up a delectable festival treat from Linda’s Country Kitchen; the menu includes homemade cinnamon sugar donuts, pulled-pork sandwiches, apple cider, nachos and more. Just 20 minutes northwest of Ann Arbor, Dexter Cider Mill is the oldest continuously operating cider mill in the entire state. Today, the team makes cider the same way it was made 120 years ago: using locally grown, hand picked apples on an oak rack press. Even their equipment is over 100-years-old! In addition to natural cider, fresh apples, doughnuts, apple nut bread, made-from-scratch apple pies, apple strudel, apple turnovers and hand rolled gingersnaps, you can also purchase homemade hard ciders made on-site. This working farm in Plymouth has more than 80 acres of pumpkins! During the fall, families can also enjoy hay rides, fresh apple cider, seasonal donuts, a hay maze and other activities. And when you’re not visiting during the fall season, you can find their produce, flowers and pumpkins at the Ann Arbor and Northville farmers’ markets. A famously fun destination in South Lyon, Erwin Orchards offers a you-pick raspberry patch, you-pick sweet cherries, a huge you-pick pumpkin patch and you-pick apples with 15 different varieties. Available seasonally, you can also enjoy award-winning, fresh pressed, unpasteurized apple cider or raspberry cider paired with apple spice and pumpkin donuts! Jenny’s Farm Stand is a 200-year-old working farm in Dexter. Available year-round, you can shop seasonal produce, Jenny’s Hot ‘n Sweet Pickles, local products, baked goods, pie filling and more. 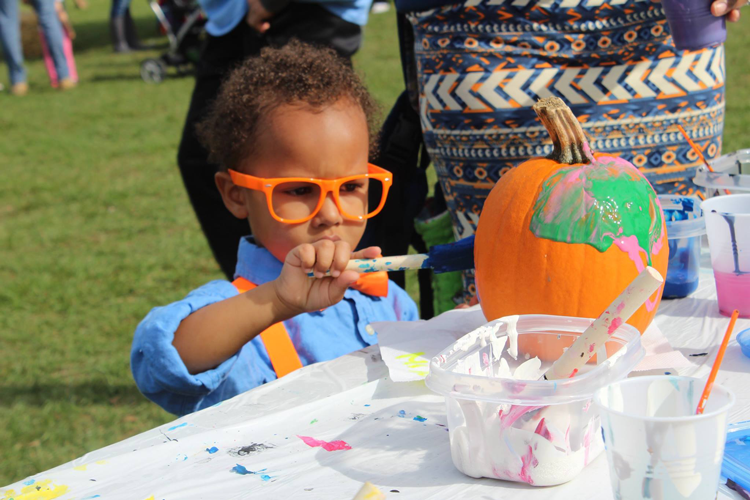 During the fall, the family fun increases with a free straw maze, horse-drawn hay rides through the pumpkin patch, pony rides, hot and fresh pumpkin donuts, fresh apple cider and, more. Lesser Farms and Orchard is a family-owned and operated farm. 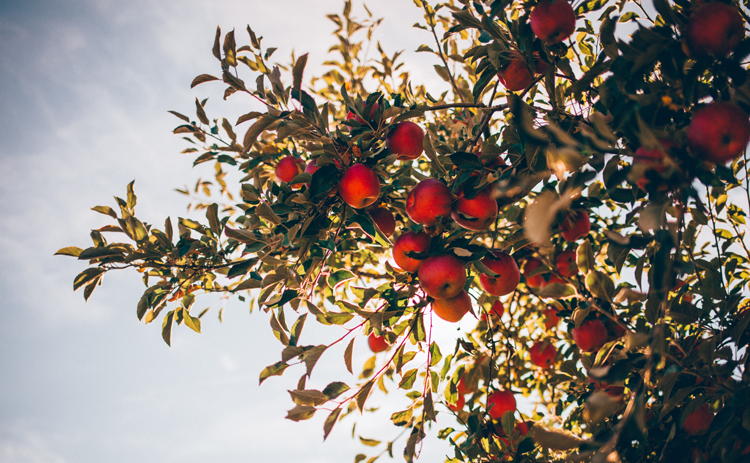 Though you can’t pick your own here, you can find some of the region’s best plums, apples, fresh pressed cider, homemade jams and jellies, beeswax candles, raw, local honey and pumpkins! Located on 12 acres in Saline, this real, working farm offers fresh picked apples available seasonally, squash and pumpkins. During the fall, you’re invited to pick your own apples and meet the farm animals! Situated on 85 acres, this Northville farm has been a landmark in the community for more than 100 years. Here, children and families can experience the joy of animals, agriculture, farmland and forests year-round. During the fall, the farm fun gets festive with the Great Pumpkin Festival—a two-day family festival in October—and the corn maze, a festive adventure that continues through October before the farm closes up to prepare for Santa. 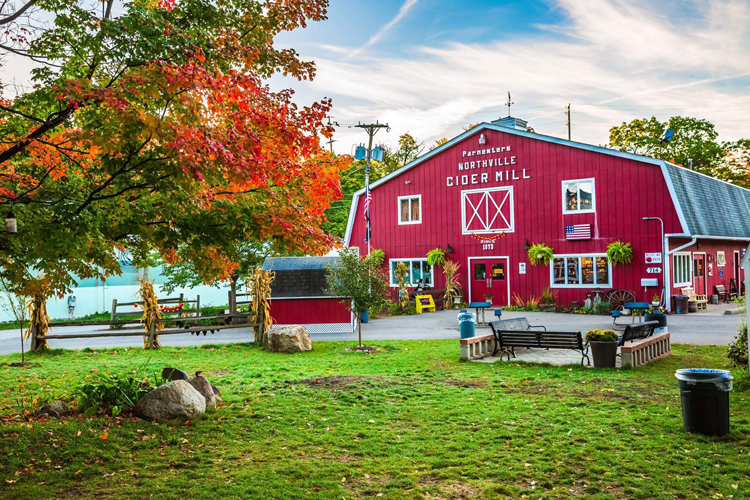 Because they partner with Parmenter’s Northville Cider Mill & Winery, you can also enjoy homemade donuts and fresh apple cider during your visit! Famous for their cherry juice concentrate, Obstbaum Orchards is a 40-year-old apple orchard and cider mill nestled in Salem on the outskirts of Northville. On autumn weekends, everyone is invited to taste fresh apple cider, seasonal donuts, homemade apple pies, hay rides and more. With no admission fee and free parking, Parmenter’s in Northville is a great fall destination near Ann Arbor because they offer their own treats and they partner with neighboring places like Maybury Farm and Northville Winery and Brewing Co. for even more fun. Located within the historic homes of Cabbagetown, the urban cider mill offers year-round cider and you can watch it being pressed on Wednesdays, Fridays, Saturdays and Sundays. During weekends through September and October, you can also step inside the Nut Hut where they make candied almonds, the Fudge Hut where they make fresh fudge, and the Chow Mill where they serve hot dogs and kielbasa. Since 1977, Plymouth Orchards and Cider Mill has been the local destination where families can enjoy fresh-pressed, award-winning apple cider, fresh-made donuts, crispy caramel apples, icy apple cider slushies, fresh baked pies and a fun farm experience that includes wagon rides, a children’s animal park, a cider mill garden and October pumpkin picking. 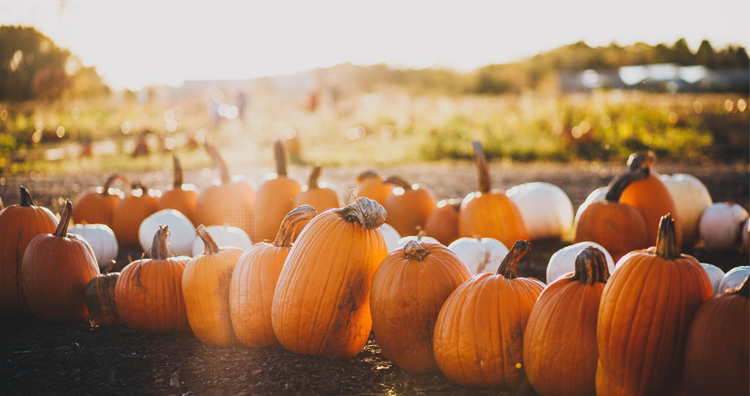 Located just 30 minutes from Ann Arbor, The Pumpkin Factory is a family-friendly Halloween farm complete with a corn maze, a pumpkin patch and haunted hayrides through the fall season. Beginning Labor Day weekend each year, Three Cedars Farm offers old-fashioned fun for all ages. Farm activities include a you-pick pumpkin patch, a seven-acre corn maze, a barn yard play land with live animals, hay rides, train rides and reservable bonfire sites. Inside the Donut Hut, you can taste fresh, homemade donuts, freshly pasteurized cold apple cider, hot cider, coffee and icy apple cider slushes. During the fall season, Wasem Fruit Farm offers more than a dozen varieties of apples you can pick yourself, you-pick raspberries available in September and early October, you-pick pumpkins in October, and pears! 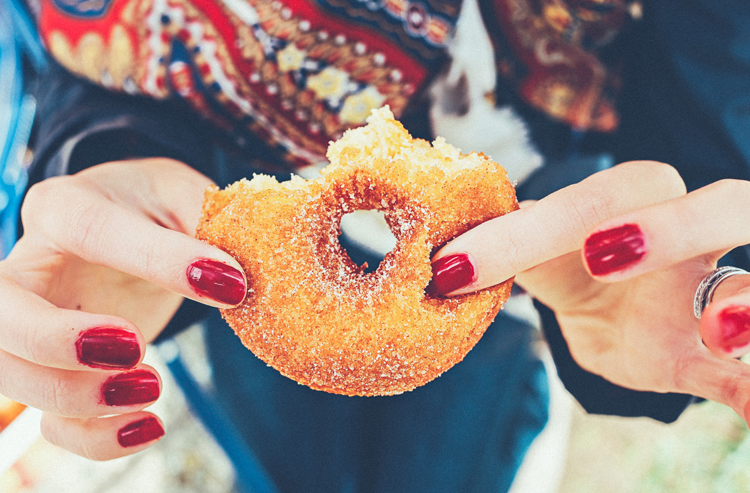 During your fall visit, you’ll get the chance to taste plain, apple, blueberry and pumpkin donuts paired with some of the best, fresh cider in the region! Just next door, you can venture to Talladay Farms, where you can challenge your family on a trip through one of the Midwest’s largest corn mazes. It covers 27 acres! Wiard’s Cider Mill and Apple Orchard was founded in Michigan by George Wiard in 1837 and has become one of the region’s most beloved fall destinations. Covering nearly 100 acres and located just minutes from Ann Arbor, attractions include the seasonal Wiard’s Country Fair, an agri-entertainment park that offers orchards, a cider mill, you-pick apples, a corn maze, a you-pick pumpkin patch, an apple cannon, giant inflatables, pony rides, hayrides, a petting farm, miniature golf, a haunted barn, children’s play areas and even more. Step inside the Country Store and Bakery to taste fresh cider, seasonal donuts, fresh baked pies, jams, jellies, honey and apple salsas. Founded in 1852 by James Wing, Wing Farms has lasted through more than 150 years and five generations and is still going strong today. 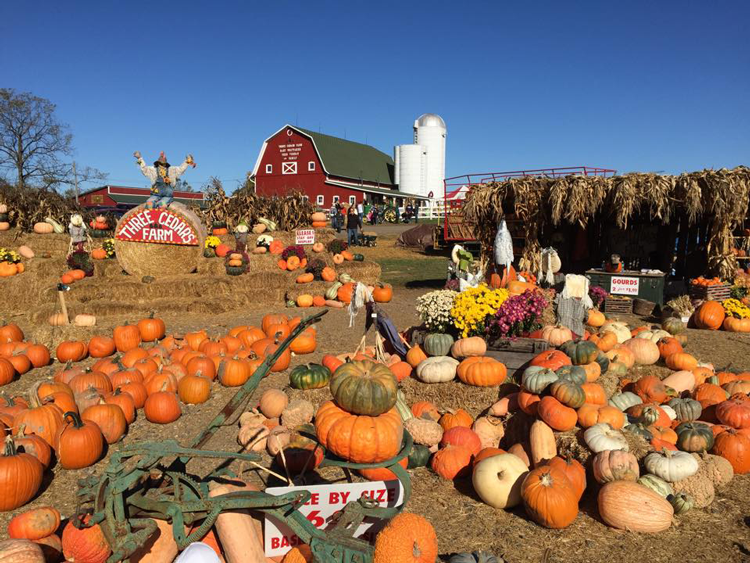 Comprised of 205 acres, including the homestead, the family produces primarily corn, soybeans and rye as well as giant pumpkins available to pick every Friday, Saturday and Sunday during the fall season. To get to the pumpkin patch, you’ll hop on a free hayride and you can enjoy fresh apple cider, too! As an added bonus, Wing Farms raises their own turkeys and every bird is all-natural, non-GMO, antibiotic free and hormone free. Do you have a favorite fall destination? Tell us all about them in the comments below!